About Vivienne C. Rowan Ph.D., C.Psych. Dr. Vivienne Rowan is a clinical psychologist specializing in anxiety disorders and related conditions. She is the director of the Assiniboine Psychological Group, a multi-disciplinary team of mental health care specialists. Dr. Rowan received her master's degree in Experimental and Applied Behaviour Analysis and her Ph.D. in Clinical Psychology and Cognitive Behaviour Therapy from the University of Manitoba and the Medical College of Pennsylvania. She was instrumental in developing the first clinics in anxiety and trauma in the western Canada. Her special interests are in post traumatic stress and obsessive compulsive disorders, and in disability management. Founder and director of a multidisciplinary group of mental health care specialists providing cognitive behavioural assessments and treatment to all ages who experience anxiety, depression, trauma (e.g., motor vehicle, industrial and airplane accidents, military operational stress and natural disasters), grief, and related psychological problems. 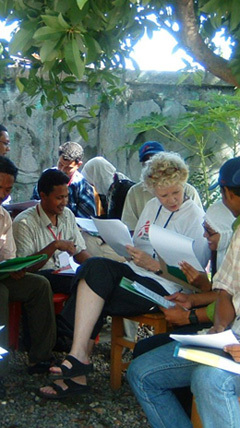 Volunteer with Non Government Agency (NGO) training local psychologists and community mental health workers in assessing and treating Post Traumatic Stress Disorder in survivors of the tsunami and civil war. 11/02 – present Cognitive Behaviour Therapy Institute of MB Inc. Co-founder of a not-for-profit clinic developed to provide evidence-based treatments and to support research and program evaluation for anxiety disorders and related health problems. Reviewed and approved assessment and treatment protocols developed by clinical psychologists providing therapies for Post Traumatic Stress Disorder across Canada. Provided cognitive-behavioural assessments and treatment to all ages with stress, anxiety disorders, and related psychological problems. Provided clinical services to adult outpatients and acute care inpatient ward. Provided consultations to multidisciplinary team working with elderly in community for anxiety and affective disorders, dementia, and substance abuse. Provided assessments and short-term treatment to individuals, couples, and families; led groups; designed and conducted research, taught psychiatry residents, and consulted to other disciplines (e.g., geriatric medicine). 10/1982 The University of Manitoba: Received M.A. Dr. Rowan provides Cognitive Behaviour Therapy training for professionals working in mental health care. Cognitive Behaviour Therapy training has been sponsored by pharmaceutical companies and counselling facilities such as Astra Zeneca, Glaxo Smith Kline Inc., Pfizer, Solvay Pharmaceuticals, Shepell fgi, and Winnipeg Regional Health Authority.